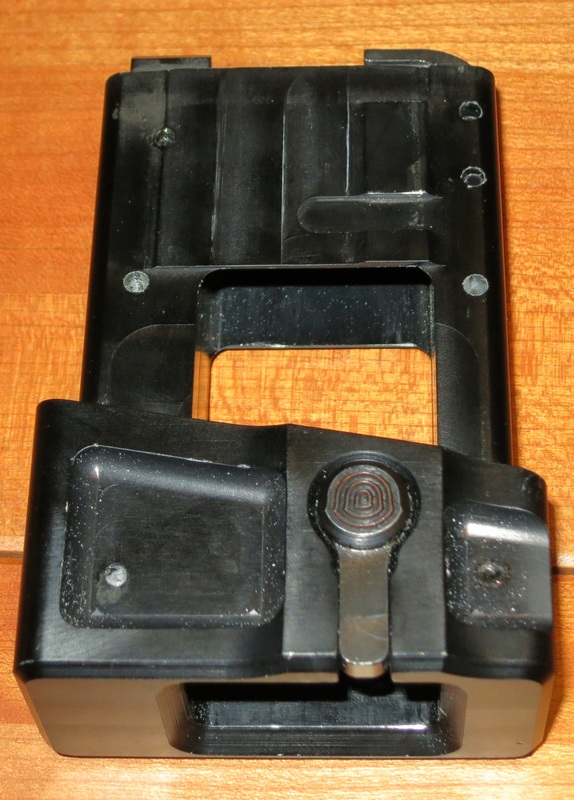 As mentioned in my VMHT AR-15 Uzi magazine adapter review, I am a big fan of re-using magazines that I already own. I was able to find a way to use my unmodified Uzi mags in my AR-15, but what other guns could take them? I did find one… the Nite Scout A3. More after the break. 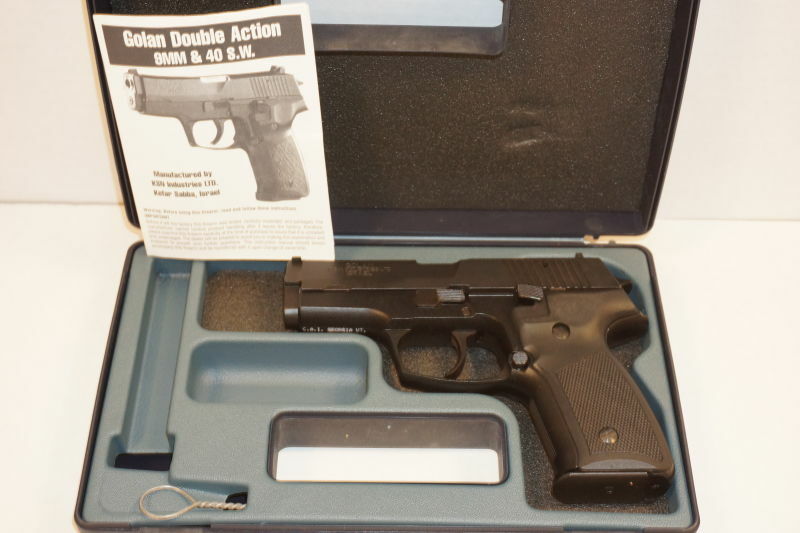 Two of the more difficult-to-aquire Israeli-manufactured guns are the KSN Golan and GAL pistols. Neither were imported in numbers like the KSN Kareen, and the importer and manufacturer appear to be long out of business. The only way to get a Golan previously was to pay Century’s high $400 price tag. While I like the Golan, let’s be real: it’s a 25 year old pistol with nothing particularly special about it, other than the Israeli connection. You can get Zastava CZ99s for a lot less. Therefore, I get excited when I see someone selling 50 KSN Golans on Gunbroker at $320 each ($355 shipped). The Golans are pictured in minty condition, and come with the original case and manual, which makes the slightly high pricing a lot more acceptable. It appears that Century Arms has finally liquidated their inventory of these guns. This is probably going to be the last time that you will be able to easily acquire a KSN Golan. The Golan is a licensed copy of the CZ-99 Compact-G, and supposedly uses the same tooling as the Zastava (not Česká zbrojovka) CZ-99 Compact-G. The unofficial history at CZ-99.org posits that the licensing and tooling sale was because of sanctions against Yugoslavia and an existing trade relationship with Israel. This seems plausible, as there are a few CZ99 Compact pistols from Israeli police armories on Gunbroker. Despite its appearance, the CZ99 is not a Sig P226 clone, but is a cross between the Sig P226 (externally) and the Walther P88 (internally). 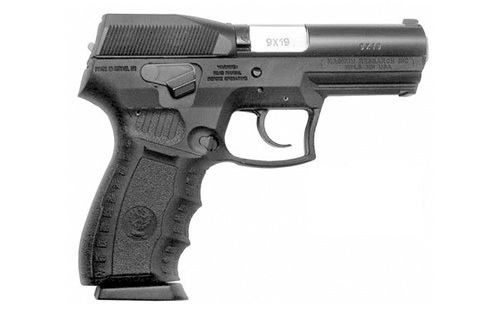 It is considered to be a high quality firearm and is the standard issue sidearm of the Serbian military and police. It has its own proprietary magazines, but they are relatively inexpensive. The least-known handgun made by IMI/IWI is probably the Barak. It was imported ever so briefly by Magnum Research as the SP-21, and then dumped after poor sales. Eventually, it was also removed from the IWI sales catalog as well. I think this is a tragedy, because the Barak is one of the best polymer hammer-fired handguns ever made. 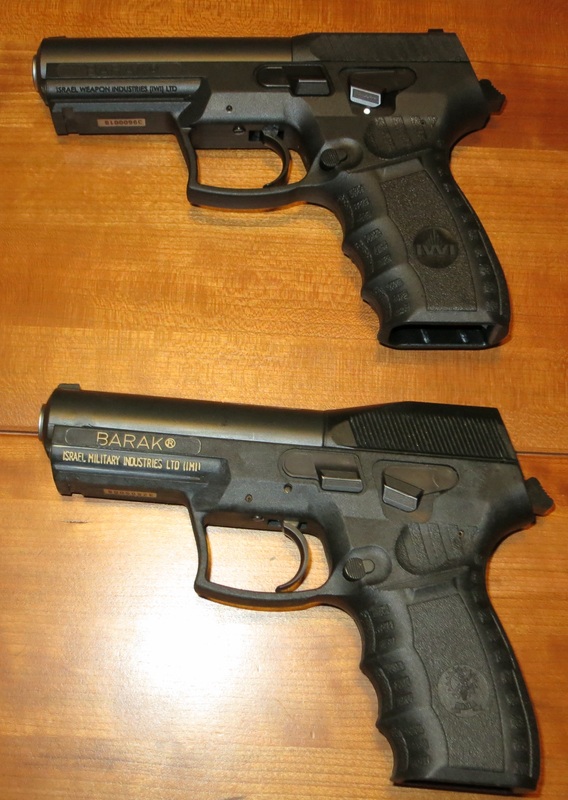 I was recently able to procure two Barak handguns – one an early IMI model, and the other a later IWI model. I have been working on the assumption that the IWI model is a redesign of the IMI model, and not some sort of parallel variant that no one has ever heard of. I’ve field-stripped both in an effort to determine what differences are between them. 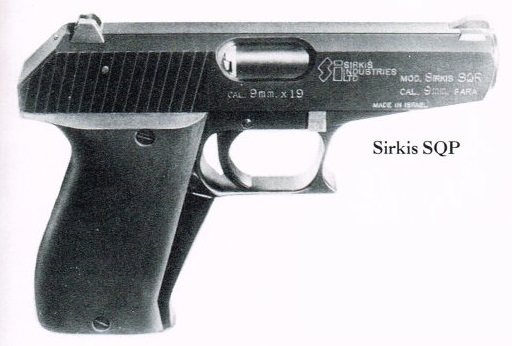 I was doing some research on some of the less-known Israeli handguns, and ran across a picture of the Sirkis SQP. This is from a scan of the “Guns Handgun Annual 1985” magazine. As you can see, the SQP has a Walther PPK-esque profile, with the addition of a squeeze cocker ala the HK P7. It is certainly a somewhat prettier gun than the Sirkis SD-9, and might have made a decent carry piece if it wasn’t too heavy (which was the SD-9’s ultimate downfall). Unfortunately, I don’t have a copy of the magazine to see what they said about it. Nehemiah Sirkis is still alive (he designed the IWI Dan rifle), so it might be time to reach out to him and get some more details about some of his guns that we never quite saw. Like most gun owners, I think of being able to share magazines between guns to be a Very Good Thing ™. Not only can new mags be expensive, but it simplifies storage when I can just dump a bunch of them in the same box. Plus, if you live in a mag-cap-limit state, it can be super convenient to be able to use what you’ve got grandfathered in, rather than hunt up 10rd mags. Therefore, I was interested in finding new ways to use my unmodified Uzi magazines in places other than my Uzi. And, since I am a great lover of pistol caliber carbines and AR-15s, it seemed like a 9mm AR-15 would be just the ticket. There is a product that let me do this: the VM Hy Tech (VMHT) Uzi magazine adapter.